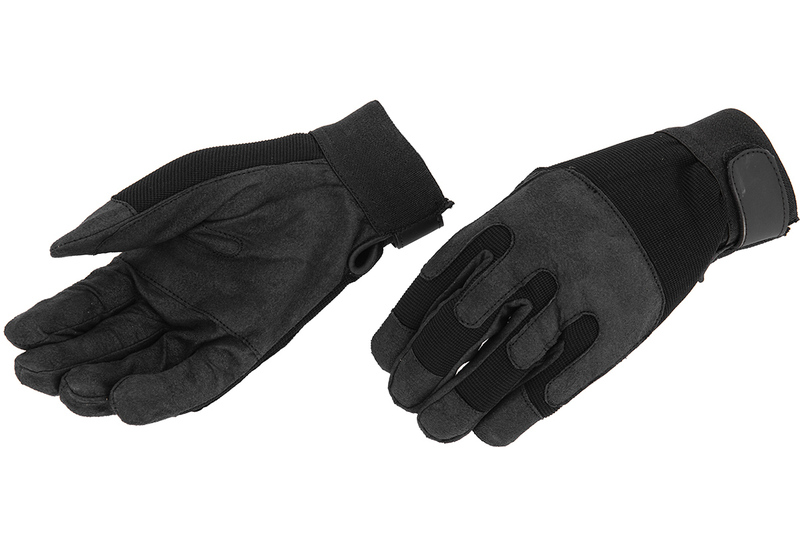 The Emerson Army Gloves provide full hand coverage from minor cuts and abrasions as well as providing some extra grip to tactile surfaces. The gloves are reinforced with stretch material around key points on the fingers to improve flexibility and keeping the glove lightweight, improving the end user capability on the airsoft field. As described and as seen in images. Final Result: DO NOT BUY! Go buy some nice groves at a hunting shop. Some that you can try on. These gloves are made of a material that falls apart! Just holding my M4 caused the fingertips to begin tearing. Got some burs on them, when pulling the burs off, it formed a hole in the gloves.